1) The structure of the memory book is important. It should prompt you with questions that are relevant to your life experience. The book should cover the people who shaped your life, the childhood memories, historical events, adulthood, and values all in book that is easy to follow. It seems some books have questions that are a bit more "out there" and some are just too general to cover your life experiences in enough depth. 2) This is a keepsake journal--it is something to be treasured for years to come. Does the book reflect quality? Are you going to love giving this as a gift to a parent or grandparent? 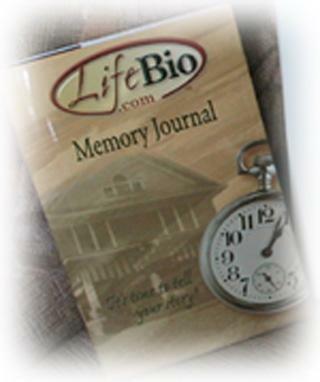 3) Is the memory book or memory journal appropriate for your loved one? Not everyone is a parent or grandparent, but they still may want to write in a memory book. Ensure the book you choose has questions that will appeal to your favorite aunt or uncle who had no children perhaps. His or her stories are still incredibly valuable to you and worth remembering and recording. 4) Is there a next step with the journal? Family members will be fighting over the memory book someday if there isn't a way to create more copies for loved ones. Is there a way to transfer the answers from the memory book to the web to create a finished autobiography for loved ones to have their own copy? Enjoy the process of writing in the memory book or journal you decide upon. OR enjoy giving this priceless gift to the person or people you love. There are many autobiography templates out there in memory books, but some are definitely better than others. So be a savvy shopper! 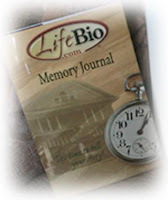 Beth Sanders, founder of http://www.lifebio.com/ and author of the Memory Journal.